Broken Age is a game I've had for a while but hadn't gotten around to playing until now. I don't have any excuse, really. I'm as ashamed as you all think I should be, I assure you. 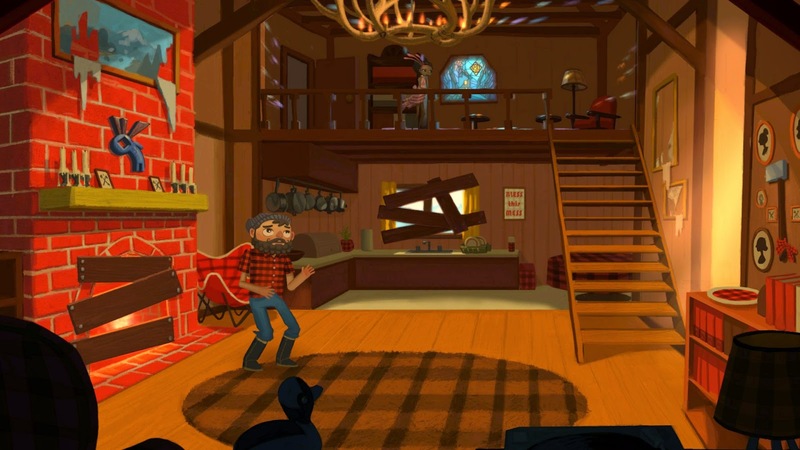 A Tim Schafer adventure game is a dream come true for me. He was, after all, the project head and writer of some of my favorite games of old (including Full Throttle, which is still my favorite SCUMM engine game ever). Kickstarted in 2012 and produced by Schafer's Double Fine, It was a great experience that I'm happy to have had the chance to share with those closest to me. Broken Age immediately captivated me. The two characters, Vella and Shay, are distant from each other in many ways, but they share a bond of common conflict. Each is struggling against routine, albeit very different ones. Vella has been selected by her village to become a sacrifice to appease the appetite of Mog Chothra, a gargantuan beast that wanders from village to village, devouring maidens every 14 years. In a move that almost everyone else seems appalled by, she escapes the monster and vows to destroy it. Shay is a young man aboard a space ship. His "parents" appear as computers that attend to his every need. Day after day, he is subjected to the same "emergency missions," all fabricated aboard the ship by his computer mother to simulate heroism without ever putting Shay in actual danger. In his day to day routine, he saves stuffed toys from ice cream avalanches, is the victim of hug attacks, and receives vital nutrition information from his talking spoon. He longs to break out from this mundane excitement and have some real adventures. Shay's world is colorful and varied, but has very few people to interact with. Vella encounters numerous people along her path, tough almost all seem to share different shades of the same opinions. Sacrifice is an honour, and killing the giant beastie is a terrible idea. Most of the game feels very much like the old Lucasarts adventure games it's descended from. The visual style is that of lovingly illustrated children's book. Each scene and character is painted and drawn in broad strokes, making almost every frame worth of hanging on your wall. 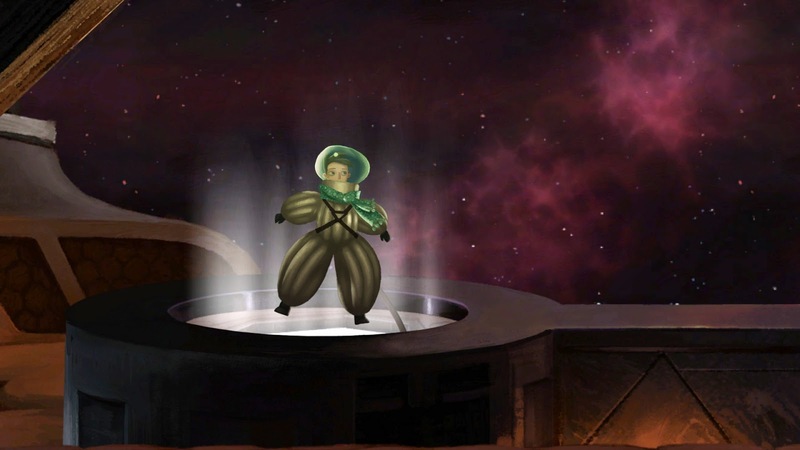 The humor throughout the game maintains the same polish most have come to expect from Tim Schafer. It's all delivered by a great voice cast, a mix of big names and seasoned voice acting talent. Every element, from visuals, to voice and story have come together in a game that brings new life to a genre that is thankfully gaining ground again. About ten minutes into the game, I noticed my entire family had crowded around the laptop to watch the story unfold. I ended up hooking it up to our TV for the duration of the game and they watched like an after-dinner movie. 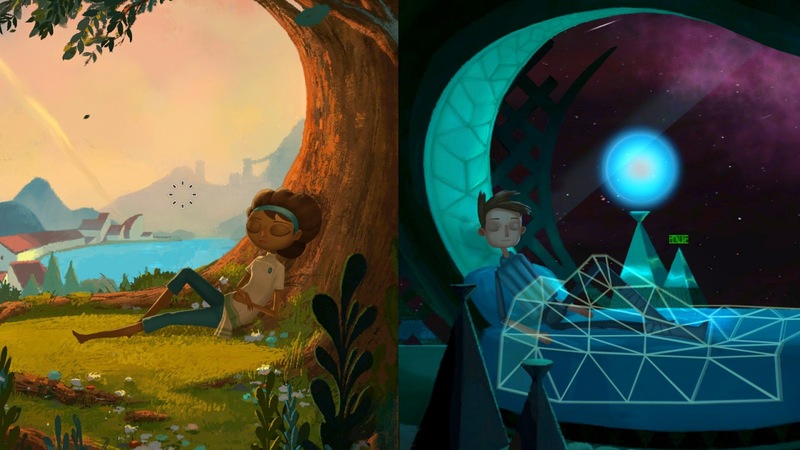 Broken Age is already beautiful. It isn't finished yet, and I can barely wait for Act II to come out. It's more than just a revival of the games I played as a kid. Broken Age maintains a smoother narrative and maintains it's puzzles through player intuition and skillful writing that never coddles the player or treat them like an idiot. The characters are capable and intelligent; enough so that I find myself drawing more comparisons between them and characters like Ben (Full Throttle) and Manny (Grim Fandango) than Guybrush (Monkey Island) or Bernard (Maniac Mansion). 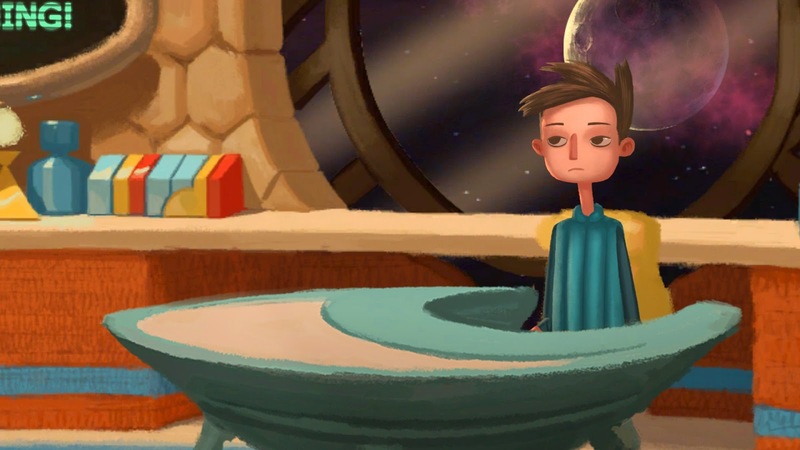 Broken Age is a masterpiece in the making. Act II will be along soon, we've been assured. In the meantime, though short, Act I gives us plenty to enjoy.